Shake things up with this quick and easy grilled pork tenderloin recipe. You will love how quickly this pork tenderloin marinates in this homemade mustard sauce. It is time to vary your dinner menu from the same-old beef and chicken dishes and try this delicious pork tenderloin recipe. 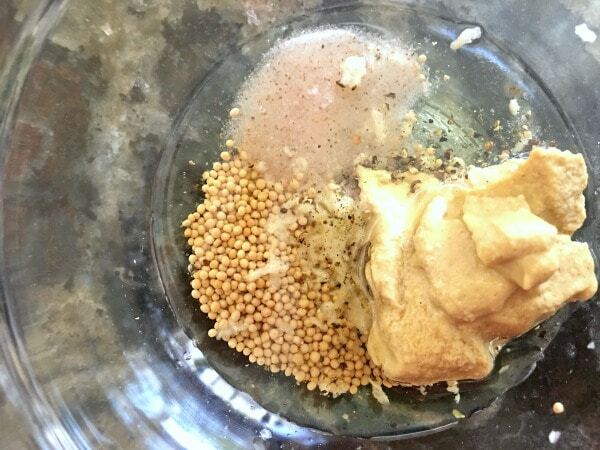 And a bonus…you only need a few simple ingredients to make this mustard marinade, which saves you time! 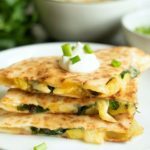 This post is dedicated to all of the busy parents who want to put a healthy family meal together in under 30 minutes! Close your eyes and think of your weeknights. Do you often scramble to put together a healthy dinner for your family? This is one of our biggest challenges during the week. We are going in so many different directions, it is hard to carve out time to cook dinner. You will love how quickly this pork tenderloin comes together, which leaves more time for making some healthy side dishes! Time is valuable and getting a healthy dinner on the table can be a daunting task! I am hoping these easy tips will be helpful for you. Luckily, the good folks at Farmer John have us covered! Their California Natural Fresh Pork Tenderloin is thin enough that it cooks quickly but thick enough to hold in moisture, so you end up with a delicious tender cut of meat that’s the perfect base for any style of dish. Farmer John California Natural Fresh Pork is made from 100% fresh pork, has no artificial ingredients, and comes in a variety of cuts, including boneless loins, chops, ribs, ground pork, tenderloins and more. I love all of the choices! We often make Farmer John Pork Ribs too! 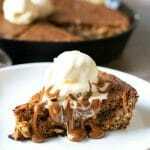 You can check out this easy recipe. You can find Farmer John California Natural Fresh Pork at your local Smart & Final or Stater Bros. Markets stores. Add the marinade ingredients to a bowl and mix well. How do you cook pork tenderloin on a gas grill? To cook pork tenderloin on a gas grill, you need to preheat your grill to 400 degrees. I like to heat the grill to temperature, then use a grill brush to make sure the grill slats are clean. Slice or cut the tenderloin into smaller pieces before cooking. Add the marinated pork tenderloin directly to the grill slats. How long does it take to grill pork tenderloin on the grill? Close the lid and grill for 10 minutes. Open the grill lid and use tongs to flip the tenderloin slices over. Cook another 10 minutes and check the internal temperature with a thermometer. What temperature should pork tenderloin be? Cook the pork tenderloin until the internal temperature measures 145 degrees. Can you grill pork tenderloin on foil? I like to cook the pork tenderloin directly on the grill, as shown above, but you can easily cook the pork tenderloin on foil if that is easier for you. Here is a close up of the meat so you can see how juicy this pork tenderloin turned out. 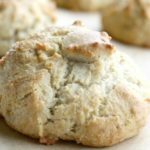 This recipe is naturally gluten free, and is paleo as well! Farmer John California Natural Fresh Pork can easily be your go-to meal for busy weeknights, tailgating or even entertaining this season! An easy dijon marinated pork tenderloin with baked potatoes. Preheat the grill to 400 F.
Mix all marinade ingredients in a small bowl. Coat all sides of the pork tenderloin with the marinade. Let sit for 10 minutes. Open the grill lid and place the pork tenderloin onto the grill. Cook for 10 minutes on each side. Use a thermometer to check the internal temperature. The pork tenderloin is done when the internal temperature is at least 145F. Note: You can also slice the pork tenderloin before grilling to speed up the cook time. Slice and serve with your favorite side dishes like baked potatoes. This port looks very juicy and tender, the marinade sounds delicious as well! I havent made pork tenderloin in forever!! This is a great recipe that I must try — Love that this has mustard seeds in it too! Thank you so much Vicky, I hope your family likes it as much as mine does. This will be a hit in my family. 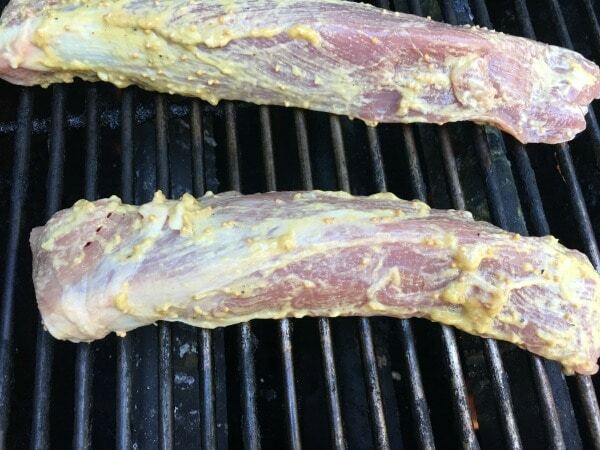 We love pork tenderloin but never grill it. I LOVE the combination of pork and Dijon! this would be perfect for Christmas, I get really over turkey!! That marinade sounds incredible! I love cooking savory dishes with mustard. 🙂 Thanks for sharing! This sounds wonderful and looks so tender and juicy! Hmmm, the pork tenderloin looks super juicy and tender. I often use pork with green veggies at least once at dinner weekly so maybe I will try out this recipes! The marinade including mustard must be tasty and tangy! Making pork for dinner tonight and wish I found this about 20 minute sooner! Looks so good – will do next time for sure! I’m always on the lookout for dinner food. Bookmarking this for later. Thanks for posting. Awesome Molly. It makes the perfect dinner for those busy weeknights. This looks perfect for dinner! Love how fast it is ready as well! Love pork tenderloins! Haven’t heard of Farmer John but looking forward to trying their pork! Yum Sandi! The combination of ingredients to marinate the pork sounds delicious!! I love the grill cooking as the flavour is so complex, yum, I will give this a go, cheers! Awww, thank you so much Adrianne. I hope you and your family have a great holiday! I notice the serving size in the nutrition chart shows as 1g, do you mean 100g? Hi Glenn, thanks for pointing that out. It looks like that is auto-filled by the calorie counter. I fixed this to say serving. Hope you have a great day.